WALTER E. WASHINGTON CONVENTION CENTER | WASHINGTON, D.C.
MAY 1-2, 2018 | WALTER E. WASHINGTON CONVENTION CENTER | WASHINGTON, D.C.
Open system solutions continue to be critical not only to the modernization efforts of the US Military’s fleet but also to the logistical IT and cyber efforts happening across the entire US government. The Modular Open Systems Summit, taking place May 1-2 in Washington, D.C. brings together highly-qualified, senior government, military, intelligence and industry professionals in a powerful relationship-building environment to discuss the issues and opportunities surrounding the dynamic open systems marketplace. Attendees will gather to discuss open system policies and updates, logistics and planning necessary for implementation, the latest acquisition opportunities, current trends in cyber security initiatives, real-world implementation examples and more. Early Bird discount expires March 16, 2018. Click to hear how the Open Architecture impacts the industry and why you should attend Modular Open Systems Summit in 2018! 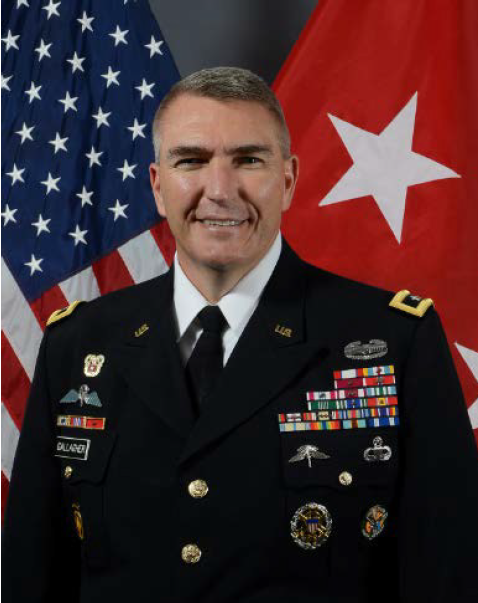 Major General Peter A. Gallagher serves as the Director of the Network Cross-Functional Team. As part of the Army’s six modernization priorities, he is responsible for the focused integration of network, command, control, communications and intelligence to enable mission command across the tactical network. 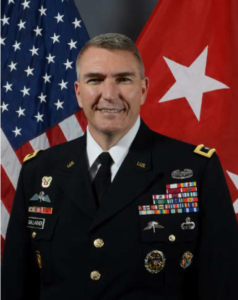 MG Gallagher previously served as the Director of Networks, Services and Strategy in the Army Chief Information Officer/G-6; responsible for strategy, policy and guidance to enable mission command across the Army’s Global Enterprise Network MG Gallagher was commissioned as a Distinguished Military Graduate from Pittsburg State University. He holds a Bachelor’s degree in Mathematics and Physical Education and holds a Master’s degree in National Security Strategy from the National War College. Jim is the Director for Cyber at Lockheed Martin where he leads and manages Lockheed Martin (LM) interactions with senior U.S. government leaders associated with cyber policy, programs, budgets and operations. He also engages with LM cyber-focused and technology-related business units to articulate US government cyber-related priorities and capability gaps across the corporation while simultaneously leading and participating in the development of LM business proposals for advancing national security. Additionally, Jim is a retired US Air Force major general who last served as the Chief of Staff to US Cyber Command and the US Air Force senior career intelligence officer. Jim is also a Special Government Employee for US Strategic Command’s Strategic Advisory Group Intelligence Panel; serves on the Veteran Launch and X-IO Technologies Advisory Boards; is a Special Advisor to the National Cryptologic Museum Foundation; and serves as a member of the AFCEA, INSA and NDIA Cyber Committees. Mark Laustra has more than 25 years of experience successfully bringing innovative security technologies to market and managing complex technology-based programs for aviation security, cargo inspection, and critical infrastructure protection. 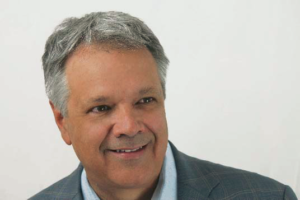 A frequent contributor to U.S. Congressional hearings, industry forums and media outlets such as CNN, Fox News, and CNBC, Mark is also recognized as a leading expert on policy and regulatory matters related to aviation security technology. Mark has expertise in the use of non-intrusive inspection and threat detection technologies to mitigate threats posed to aviation and other high-value assets by chemical, biological, radiological, nuclear, and explosive (CBRNE) agents. 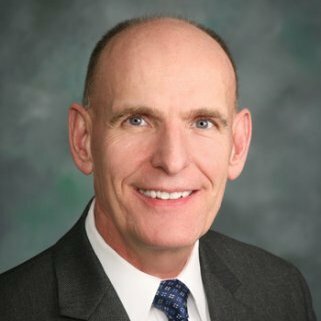 Mark is currently serving as Vice President of Global Business Development and Government Relations for Analogic Corporation, a leading manufacturer of Computed Tomography (CT) technology, based in Peabody, Massachusetts. At Analogic, Mark and his team are focused on launching the ConneCT, Analogic’s new checkpoint CT screening solution and building Analogic’s portfolio of innovative security technology solutions. Prior to joining Analogic, Mark was Vice President for Smiths Detection, where he worked with the US Department of Homeland Security to successfully deploy the first walk through people screening portal, the first Multiview checkpoint X-Ray system, and automated screening lane solution. Mark holds a Bachelor of Science degree from the University of Central Florida majoring in Business Management and is currently serving as Chairman of the Security Manufacturers Coalition, the unified voice to the Federal Government of companies that manufacture security screening technology. On Dec. 5, 2017, Mr. James F. Geurts was sworn in as Assistant Secretary of the Navy for Research, Development & Acquisition (ASN (RD&A)), following his confirmation by the Senate November 2017. As the Navy’s acquisition executive, Mr. Geurts has oversight of an annual budget in excess of $60 billion and is responsible for equipping and supporting the finest Sailors and Marines in the world with the best platforms, systems and technology as they operate around the globe in defense of the Nation. Mr. Geurts previously served as the Acquisition Executive, U.S.. Special Operations Command (USSOCOM), at MacDill Air Force Base (AFB), Florida, where he was responsible for all special operations forces acquisition, technology and logistics. In this position his innovative leadership and technological ingenuity provided rapid and affordable acquisition that positively impacted the USSOCOM acquisition work force and the special operations forces capability on the battlefield. These contributions were recognized by both private and public institutions during his tenure to include earning the Presidential Rank Award, USSOCOM Medal, William Perry Award and Federal Times Vanguard Award for Executive of the Year. 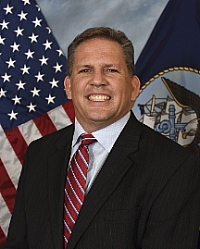 Prior to Senior Executive Service, Mr. Geurts began his career as an Air Force officer where he served as an acquisition program manager with engineering and program management leadership positions in numerous weapon systems including intercontinental ballistic missiles, surveillance platforms, tactical fighter aircraft, advanced avionics systems, stealth cruise missiles, training systems and manned and unmanned special operations aircraft. He has over 30 years of extensive joint acquisition experience and served in all levels of acquisition leadership positions including Acquisition Executive, Program Executive Officer and Program Manager of Major Defense Acquisition Programs. Mr. Geurts is a distinguished 1987 ROTC graduate from Lehigh University where he received a Bachelor of Science in Electrical Engineering. He holds a Master of Science in Electrical Engineering from Air Force Institute of Technology, Wright-Patterson AFB and in National Security Resourcing from Industrial College of the Armed Forces, National Defense University, Washington, D.C. Mr. Geurts also attended executive leadership and international studies programs at Harvard Kennedy School and George Washington Elliot School. In order to ensure we are presenting insights into the most relevant and mission critical topics, we have assembled an Advisory Board of the most experienced and knowledgeable leaders in the aerospace industry. 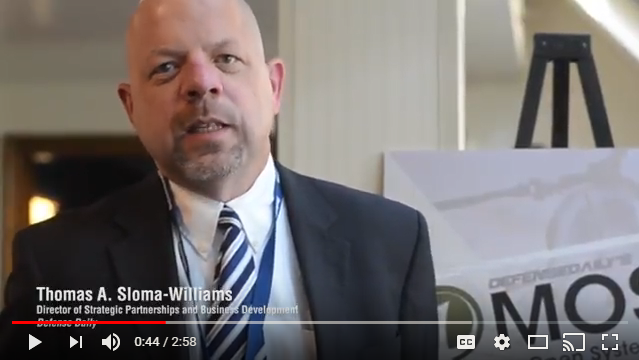 These thought leaders help to ensure the content at the 2018 Modular Open Systems Summit is exactly what your company needs to be successful in the new digital defense industry. Defense Daily, defense/aerospace industry’s premiere source for timely, accurate news and analysis of business opportunities and trends.